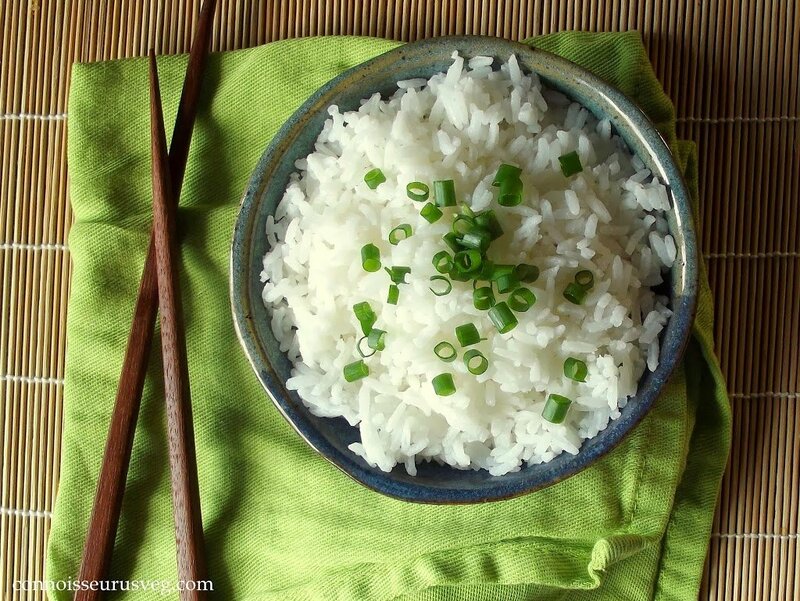 Thai decadent, Thai-inspired coconut rice is prepared by simmering jasmine rice in coconut milk. A delicious side for stir-fries and curries! The first time I had coconut rice it was served to me by a friend, alongside some spicy Thai tofu. She didn’t mention that there was anything special or unusual about the rice. She just served it to me. My reaction was something along the lines of “Holy $%*@! What did you do to this rice?! 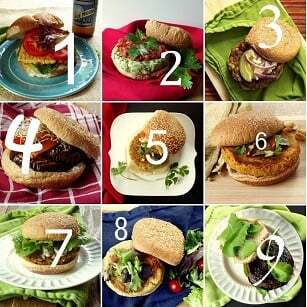 ?” If you’ve never tried the stuff before, I highly encourage you to give this recipe a shot. I’m willing to bet your reaction will be the same. 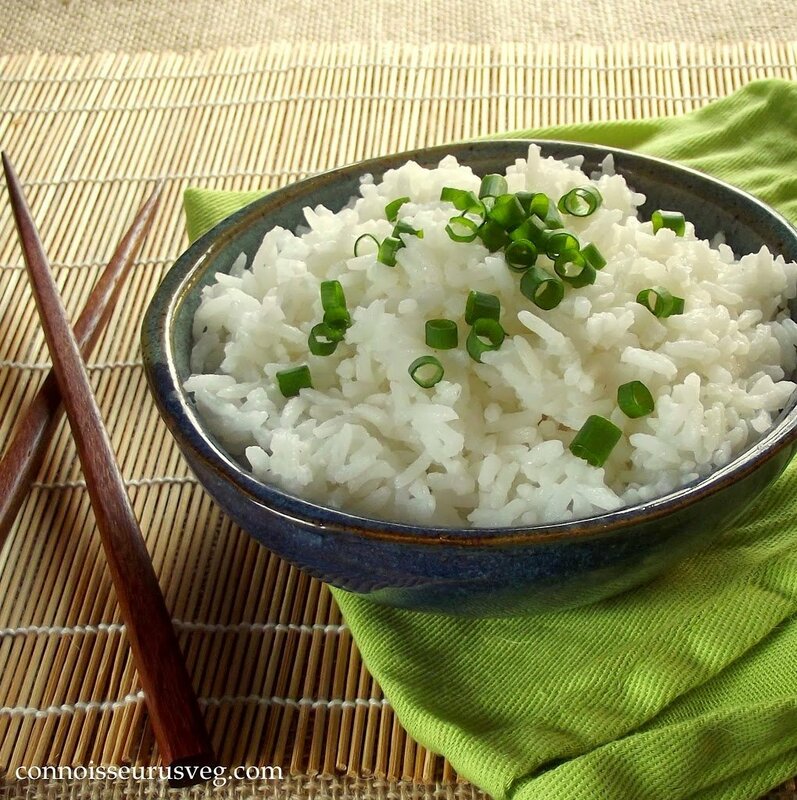 It’s not immediately apparent that coconut milk is responsible for the creamy taste and texture of this rice. The coconut flavor is mild, while the richness is intense. Unlike butter or oil, which might add a fatty coating to the rice, coconut milk tends to infuse the rice, and what you end up with are hearty, thick, rich grains in a matrix of coconut-creamy goodness. I decided to post this now because I realized I’ve been posting a lot of Thai dishes lately, and I’ve got some more lined up. I generally serve this alongside most of my Thai dishes. The only exception would be coconut milk based curries, because I feel like the double hit of coconut milk might just be a bit too much. I recently made this as an accompaniment to my mango seitan stir fry, and it was fantastic. 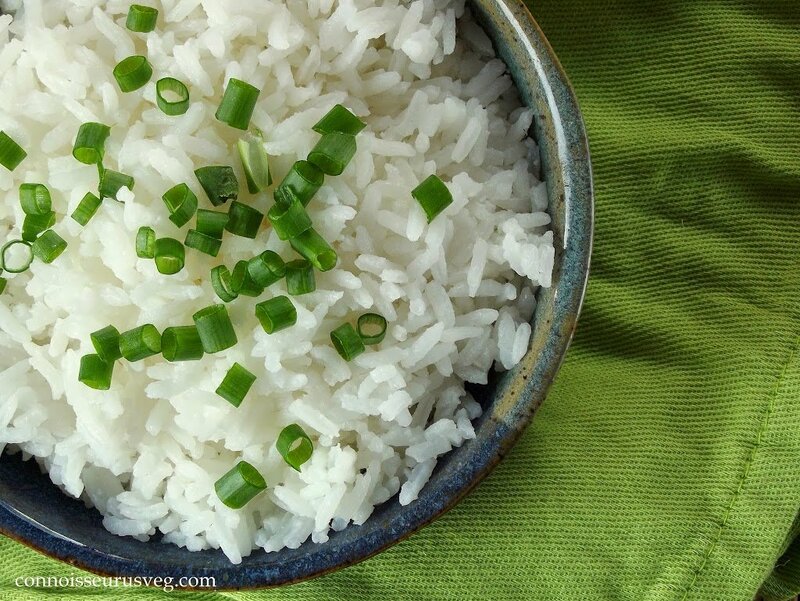 I tend to like some rice alongside any Asian inspired soups that I eat as well, and if I’ve got a can of coconut milk on hand, I usually end up making this recipe. This would include non-Thai soups like kimchi stew and hot and sour soup. Coconut rice alongside these dishes isn’t really conventional (I don’t think), but it does go really well. 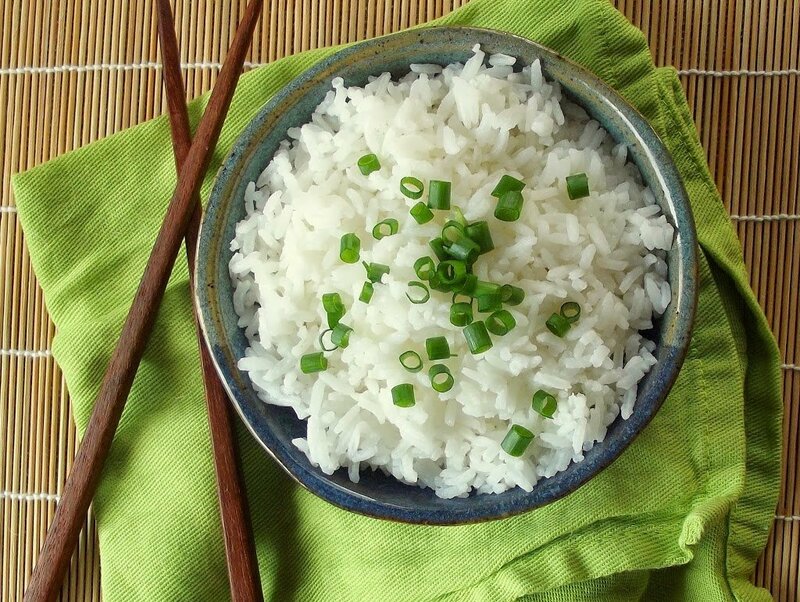 I used jasmine rice for this recipe, and that’s what you’d normally get if you were served this in a Thai restaurant, but you can experiment with other types of rice, and I have. Just be sure to adjust cooking time as well as the amounts of water and coconut milk that you use. 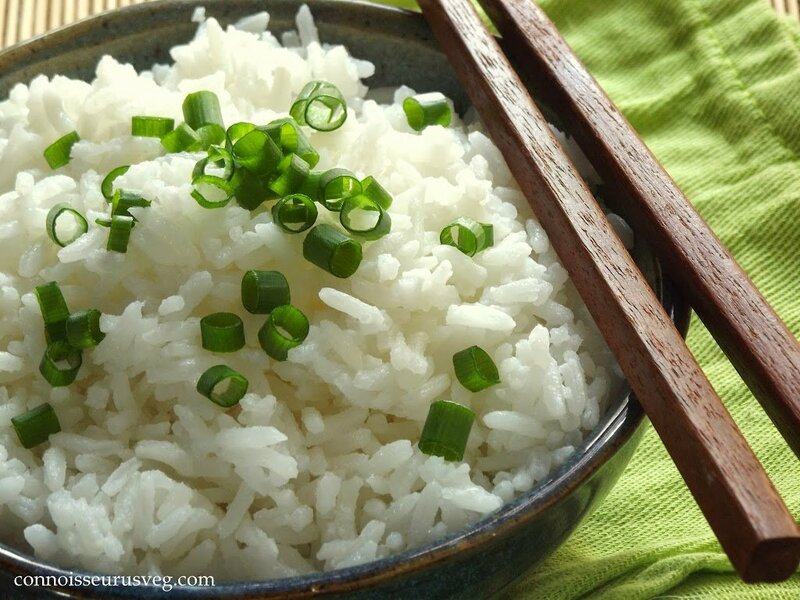 Whatever type of rice you use, you will want to keep the total ratio of liquid (coconut milk and water) to rice pretty close to the ratio of water to rice that you’d normally use for a regular batch of that rice. If anything, err on the side of including a little extra liquid, as the coconut milk doesn’t tend to get absorbed as much as the water. Place water, coconut milk and salt in medium saucepan. Mix well to break up any chunks of coconut cream. Bring to a boil, stir in rice, and lower heat to a simmer. Cover and simmer for 15-20 minutes, or until most of the liquid is absorbed. Remove from heat and allow to sit, covered, for another five minutes. Stir in scallions if using. I haven’t made this recipe using a rice cooker myself, but I can’t see any reason this wouldn’t work. It might actually work well that way because the rice cooker would regulate the heat and prevent any possible scorching of the coconut milk. Please let me know how it works out if you do give it a shot! hi. what other type of rice have you used? was the taste very different? Hi Anna! I’ve also done this with basmati rice. This was also delicious, though basmati is less sticky than jasmine rice, so the coconut milk doesn’t seem to absorb as much and tends to form more of a creamy coating on the grains. Thank you for this recipe. It looked to be in a solid state when I took it off the heat, but after letting it set for the 5 minutes it was perfect. I tried it tonight with Thai coconut shrimp/vegetables and it was a perfect accompaniment. Delicious! I made this in the rice cooker and it turned out perfectly. I just mixed the water and coconut milk together before I added the salt and rice. Can this be done with brown rice? It can, but will probably need to cook longer. I think 45 minutes should do it.